A Mass of Christian burial will be held Thursday, May 3, 2012, at 11:00 AM at St. Joseph Catholic Church in Patterson for Mrs. Claire Delaune Sawyer, 65, a native and lifelong resident of Patterson, who went to be with her Lord on Tuesday, May 1, 2012, at 12:54 PM at Ochsner in New Orleans. Burial will follow in the St. Joseph Cemetery. Father Donavan Labbé will officiate the services. Claire, a loving wife and friend to many, was a lifelong member of St. Joseph Catholic Church in Patterson where she served as an Extraordinary Minister of Holy Eucharist, Church Parish Council Member, and was Administrator of the St. Vincent dePaul Fund. She retired from Patterson State Bank as Senior Vice-President and Secretary to the Board of Directors after 35 years of faithful and dedicated service. 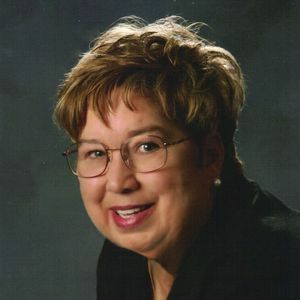 She was currently serving as Councilwoman for the City of Patterson, served as Secretary for the Patterson Garden Club, and was a member of the Council on Aging. She leaves behind her husband of 40 years, Charles R. Sawyer of Patterson; one sister, Laura Mae Cuvillier and her husband Leroy of Hackberry; beloved family members, Cleo and Ellen Scott of Patterson; one brother-in-law, Thomas Sawyer and his wife Jeanie of Lafayette; one sister-in-law, Mona Ray Sawyer of Morgan City; as well as numerous nieces, nephews, and friends. She was preceded in death by her parents, Pete Delaune and Bertha Aucoin Delaune. A gathering of family and friends will be held Thursday at St. Joseph Catholic Church in Patterson from 8:00 AM until Mass time at 11:00 AM, with the rosary being prayed at 10:00 AM. Serving as pallbearers will be Larry Callais, Mayor Rodney Grogan, Mike Brocato, Mike Accardo, Brady Como, and Lloyd Marshall. Honorary pallbearers will be Floyd Estay and Larry Mendoza. In lieu of flowers the family asks that memorial contributions be made in Claire's memory to the St. Vincent DePaul Fund, c/o St. Joseph Catholic Church, PO Box 219, Patterson, LA, 70392. To view the online obituary and memory book please visit www.iberts.com. Arrangements have been entrusted to Ibert's Mortuary, Inc., 1111 Lia St., Patterson, LA, (985)-395-7873. I worked with Claire for 7 years at Patterson State Bank, and she always made you smile whenever you saw her, she will be missed. I will be praying for the family. Charlie, may you find peace and wonderful memories through the support of family and friends with the loss of your beloved Claire. She was truly an amazing woman who touched so many lives. I am so sorry for your loss and will keep you in my prayers. May Peace be within you Charlie ... happy memories will replace the pain in time. So sorry to hear of Claire's passing. I worked with Claire for about ten years at Patterson State Bank. She was a mentor to me in the banking world as I was fresh out of high school. Claire was a great friend and never a stranger to anyone. She enjoyed life and was so happy when she retired as she was going to be able to enjoy it even more. She was a great lady and will be sadly missed by many. Chuck, we are so sorry for your loss. Our heartfelt sympathies to you and the family. Claire, was a great friend and wonderful person.